Electric hybrids. They’re like buses (except, er, with lower emissions) – you wait forever to try one and then they all come along at once. Last month I had my first experience of an EV with the BMWi3. 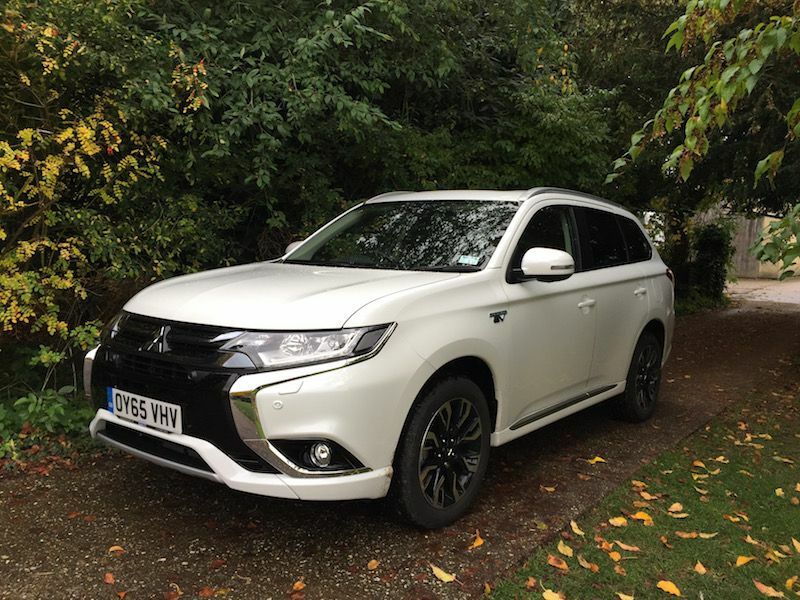 This month it’s been Stiletto-to-the-Metal with another hybrid, the Mitsubishi Outlander PHEV. This time I’m going to start with a hilariously amateur piece of video footage from yours truly. A couple of thing to note: when I say on the vid that the Mitsubishi is new out this week, that was filmed two weeks ago (someone shoot the continuity guy – oh hang on, that’s me). When I say it’s brand new, I mean the model is, not the car itself. And, ahem, sorry for filming the dashboard upside down. Right, that’s enough mea culpa for one morning, have a laugh at my expense here, and then read the rest of the review afterwards! Shall we start with the definition of PHEV since I promised to find out what it means? It stands for Plug-in Hybrid Electric Vehicle. (Yeah it makes sense now….) The original Mitsubishi Outlander PHEV model came out in 2014. 18 months later, this is the brand new model – think your husband’s slightly younger, foxier, sexier brother (mmmm). 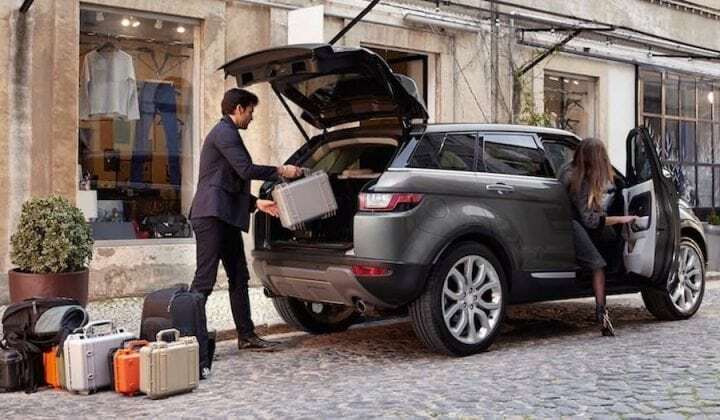 It’s a five seater utility vehicle – that third seat in the back being for a small one – with full 4 x 4 offroad capabilities, with a large rear boot, a pleasing if unremarkable body, a roomy, practical, middle-of-the-road interior, and a combined mileage of up to 32 on electric to 300-350 mile range on petrol. The drive: I’m still very excited about driving electric cars, full stop. I love the slinkiness at take off, and the ease with ignition. 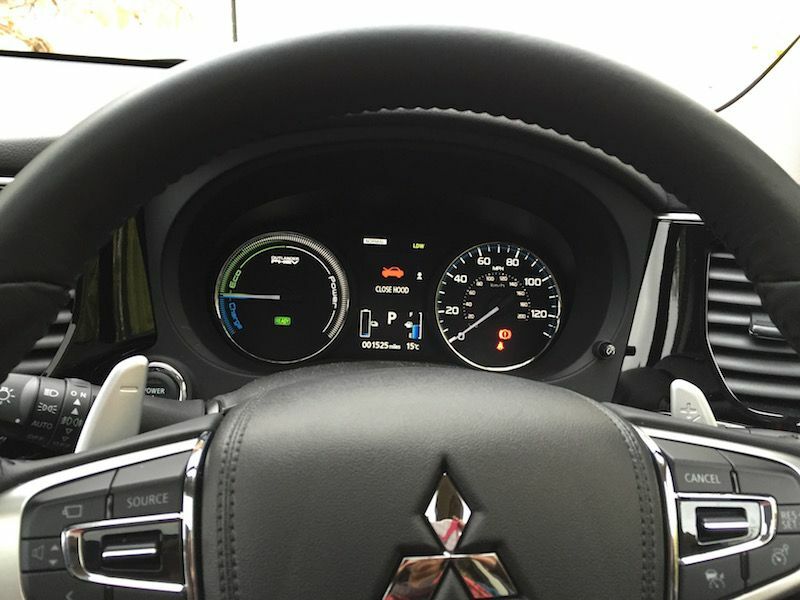 For a chunky car the Mitsubishi is nippy, particularly from 0-30. It seemed slightly less responsive through 40-60, but I’m a bit of a pedal-to-the-metal style accelerator – my mum white-knuckles it every time she hitches a lift with me. 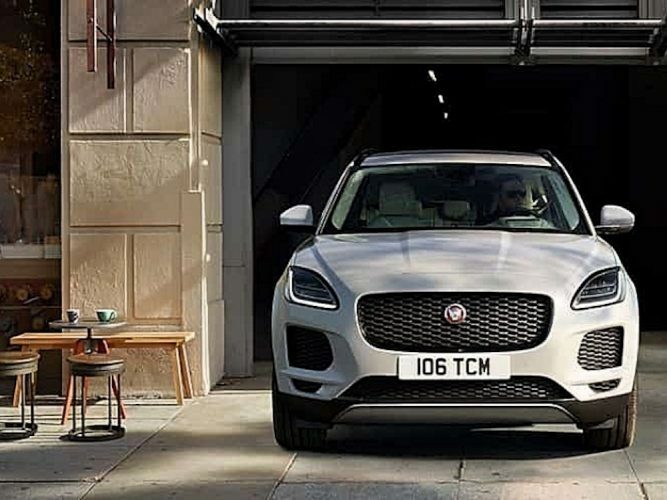 It zipped up to the *cough* higher end of the speed dial easily – motorway driving felt comfortable and safe as it reaches up to 106 miles per hour at the top end of its range. Unlike the BMWi3 which has a large electric battery range of 80ish miles, the relatively low 32 miles on the Mitsubishi puts its electric credentials firmly in local commute, school run and supermarket territory. If you do a lot of that kind of driving, this car is real contender, because it just requires a standard plug at home at the end of the day (4.5 hours) to recharge to full and will clearly save you packet on short trips. There’s a special adapter that allows you to charge the car at large motorway services in 30 minutes though realistically if you want to use it for longer journeys on the weekends then you’ll probably end up on the petrol. 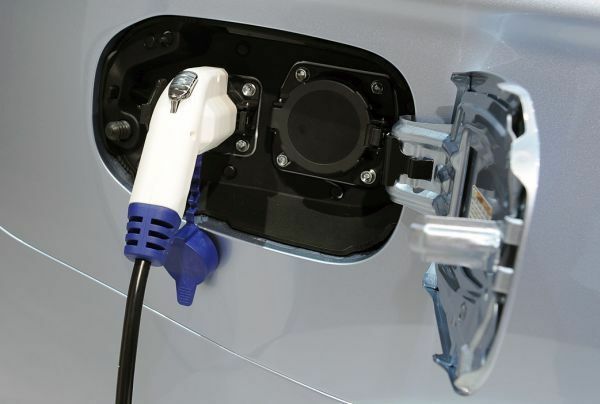 If that gives you the eco shivers, you can actually charge the batteries via the petrol engine, even while you’re parked. The fact remains that you will have to charge your battery every day, but at least with the hybrid system you don’t need to panic about running out of charge in the outside lane. CO2 emissions are superlow in the hybrid – 42g/km of CO2, meaning it can be taxed at just 5% for a company car. Apparently this is a big deal, so if you’re a local businessman with a fleet of taxis, this is the time to get excited! 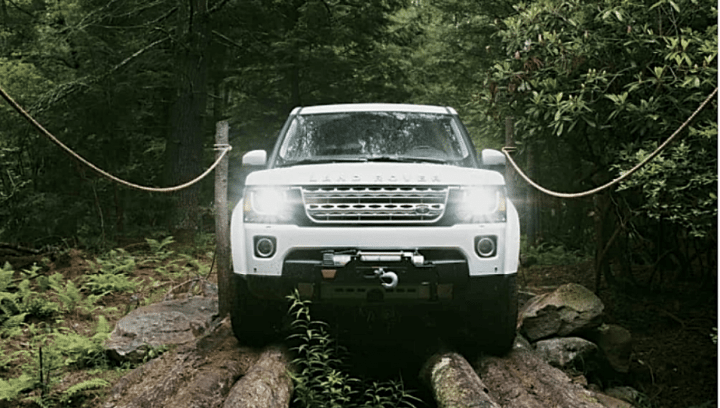 More likely you’re a normal punter in the market for a new car, but even for you there is joy with the £5k government grant on EVs, the Offlander PHEV costs the same as the diesel version of the car so you’re no longer paying a premium to be eco. I probably played with the electric boot a teeny bit more than necessary. Just double clicked the keys and up and down and up and down it went (very useful if you’re carrying loads of bags or have your kids on each hand). The heated steering wheel appealed, even in warm October, so by February it will feel dreamy, plus heated seats. There are 360 degree cameras including ones for the curbside for the poor of parking. That alone would save me hundreds of pounds – I’m always flattening my tyres on the pavements. If you’re brave (I’m not) or lazy (I am), there’s cruise control radar for the motorway, and ‘lane assist’ which basically gives you an electric shock – oh, alright, a beep – every time you float across your lane into someone else’s. As you’d expect, there’s DAB radio, bluetooth, sat nav and all that malarkey too. Good for: Short distance drivers. 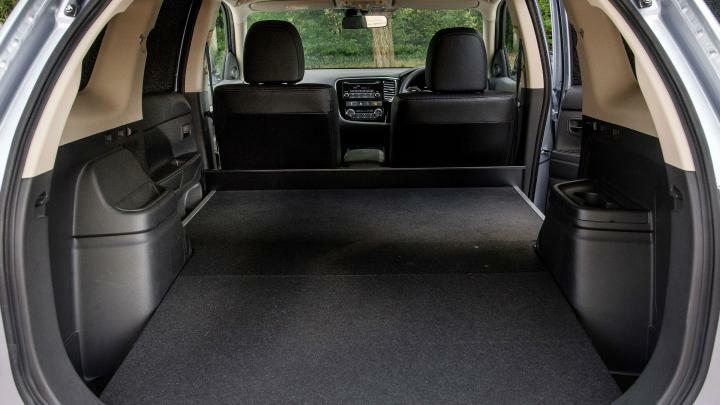 If you’re doing less around 20-25 miles a day, you’re laughing with this car which combines a practical zip arounder with a 4 x 4 look and feel. Not for: It really is about the mileage. The eco thing only works on short journeys so if you’re constantly having to dive into the petrol, you might question whether this is the car for you. The interior lacks a bit of luxe factor (though yay to the leather interiors). £££: The entry level price for a Mitsubishi Outlander PHEV is £29,304 – the current bells and whistles version will set you back £36,054, but there are two new upgrades coming out on 4 Jan too – think napa leather seats, 6-speaker systems, heated rear seats, LED mood lights (which we lovvvvvvve on Muddy), rear USB charging ports, and a choice of 3 colour interior – for £38,339/ £40,499. Quite chunky prices when you get to the top end but minus car tax, congestion charge and petrol and it could still work out good value in the long run. Ms Muddy I loved that report and what a comprehensive write up. The upside down dashboard was a highlight! You have a real presence on camera – keep the laughs coming. Love the coat, too. Grrr.